When I received an invitation to be part of the unveiling of the first combo property of the AccorHotels Group in Tamil Nadu for the launch of the Novotel & ibis Chennai, OMR, I was quite intrigued to see the same and set off soon. The launch of these properties mark the 51st and 52nd opening for the group and the 153 rooms in Novotel and 189 rooms in ibis means that the combo property provides a unique combination of a midscale hotel and an economy hotel in the same complex. Strategically located in Chennai’s Old Mahabalipuram Road (OMR) or the IT Expressway, the two hotels with a combined 342 rooms are offer travellers a choice offering across different price points and compelling value. Developed as a part of a strategic partnership between AccorHotels, Interglobe Enterprises & APHV India Investco Pte Ltd., the property is perfect if you are looking for a good stay at a budget. “The Novotel and ibis Chennai OMR joint development is one of our most significant openings based on the success of co-locating the most relevant brands for differing market needs. AccorHotels now has a network of 53 hotels with India and especially Chennai being a key market for us”, said Jean-Michel Cassé, Chief Operating Officer, India & South Asia, AccorHotels at the launch. 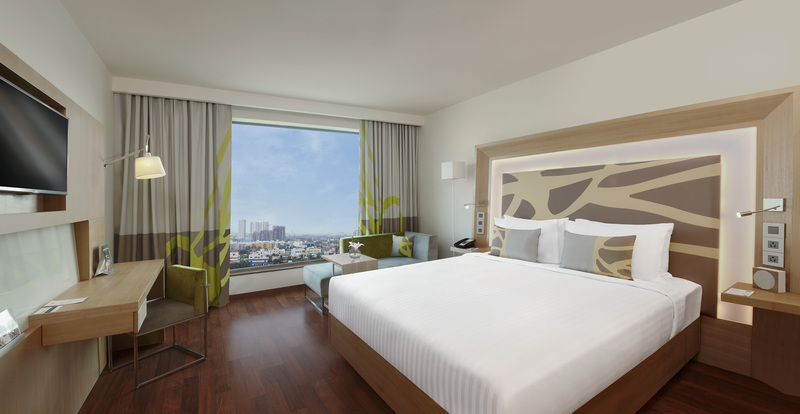 A modern and well equipped retreat for both business and leisure travellers, Novotel and ibis Chennai OMR offer modernity and comfort that are seamlessly blended into the contemporary rooms, signature bedding concepts and Wi-Fi access. 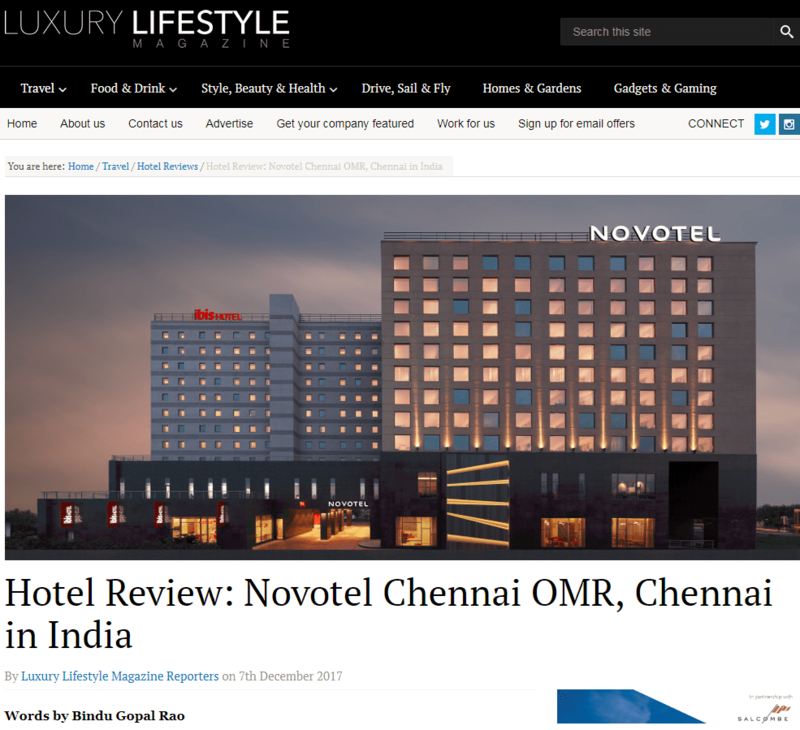 Daniel Chao, General Manager Novotel and ibis Chennai OMR & General Manager Delegate for AccorHotels, Chennai added, “Chennai is India’s fourth largest city and a leading business and leisure hub in South India. The winning combination of the Novotel and ibis properties offers our guests a unique value proposition and a distinctive choice where they can make themselves comfortable, relax, have fun, work or relish a delicious meal under one roof”. The Novotel at OMR has a nice, comfortable vibe and the grey walls and beige flooring contrast the bright orange seating and patterned red carpets. This hotel has 120 superior rooms, 29 premier rooms and 4 suites that are chic, furnished with contemporary furniture and come with an LED Television, electronic safe, mini bar, a sound spot with USB Charger and complimentary high speed WiFi. The premier rooms and suites additionally come with an Expresso machine. 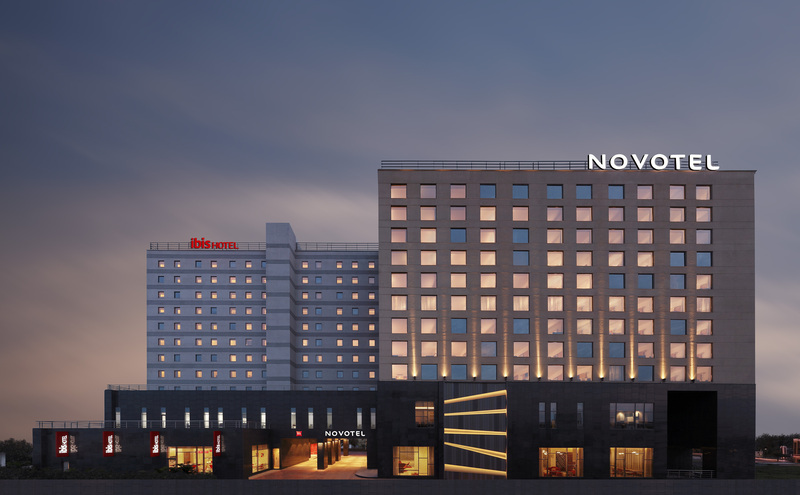 Novotel Chennai OMR is home to an eclectic collection of food and beverage outlets – The Square, an all-day dining restaurant features a delightful mix of global cuisine and local delicacies. This all day dining space has a global buffet with live cooking stations and a combination of Indian and International cuisine. 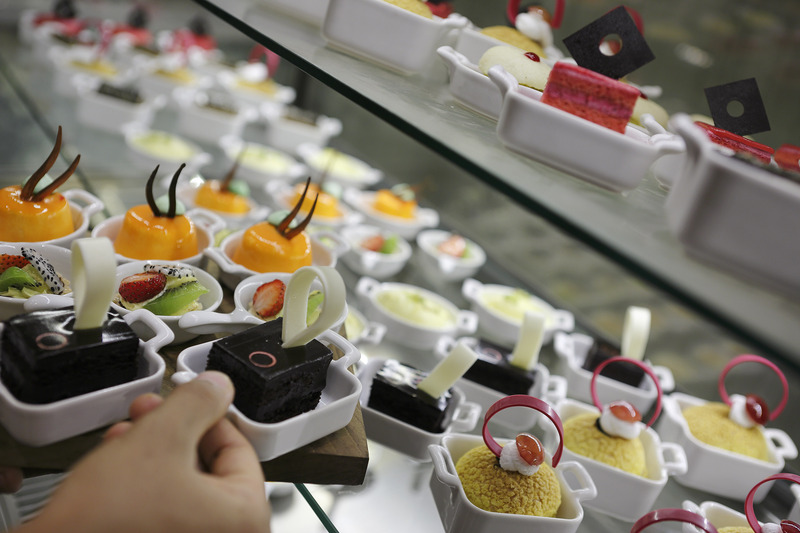 To unwind, head to ‘The Bar’, that serves a wide range of beverages including fine wines, finger food and light snacks. The hotel has a fitness center and a web corner with Apple iMac machines so you can connect to the Internet in case you have forgotten your laptop! There are seven meeting spaces here named after different kinds of coffees and the largest is the 200 seater Cappuccino. 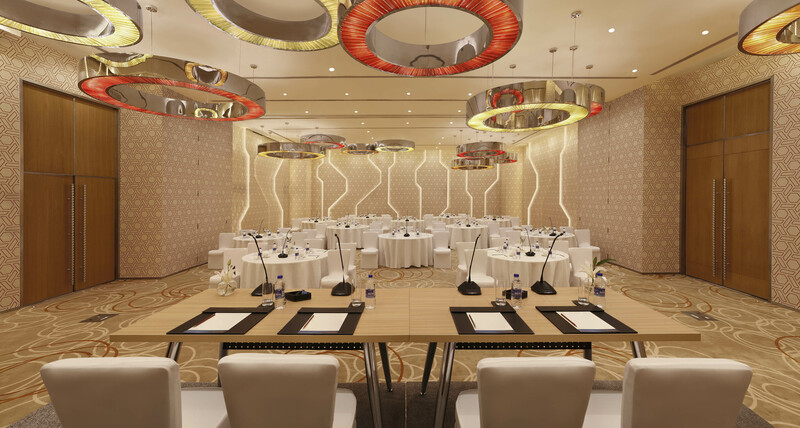 With flexible setups these spaces are equipped with state of the art conference facilities. A small kids corner, X Box and kids play area make this hotel perfect for family vacations too and the hotel offers a 5 pm late checkout for families apart from discounts on stay for children along with healthy and balanced meals. And if you want to stay at ibis, simply walk across from the lobby of Novotel and you find yourself in the bright reception of ibis. Standing here, you can see the lifts, the restaurant as well as the lobby done up in bright hues of red that instantly uplifts your mood. Featuring an eight-hour breakfast concept from 4am to 12pm, ‘Spice It’ at ibis Chennai OMR serves authentic Southern Indian delicacies and a range of international cuisine while the contemporary Hub bar offers a wide selection of refreshing beverages and light snacks for an evening chill-out. The décor of this space is colourful with red, beige and green tones. The 189 well-designed rooms have a picture of the famous temples of Mahabalipuram, located close by and come with high-speed free Wi-Fi, LED TV, black out curtains, safe deposit, tea and coffee amenities along with a mini fridge and the bathrooms fitted with health faucets and shower cubicles. The room is comfortable, practical and contemporary and suits the budget traveler and the business traveler alike. With co-located properties, it is a great choice to stay here as guests have a great choice of food and beverage options. In fact while I was here I also sampled an excellent meal of local Tamil cuisine curated by executive Chef G Muthu Kumar and this team that was a highlight of my stay. The other advantage you have is that you can experience the wonderful hospitality of the Accor Group by staying in two different properties at the same location. The best part is that you can stay here and explore the sights and sounds of not just Chennai city but also the outskirts. The scenic East Coast Road or ECR is just a 20 minute drive from the hotel and you can easily access sights like Crocodile Bank, a crocodile conservation center, Dakshina Chitra a beautiful folklore museum as well as the cities of Mahabalipuram and Kancheepuram. In all staying here is a treat and one that I will remember for a long time. Distance from Chennai International Airport 18 km / 11.18 miles and Chennai Central Railway Station 25 km / 15.53 miles.